CAPTAINS NOTE: At least once a year every crew member aboard IT writes a blog update. The subject matter is entirely of their choosing. Sebastian has been our most prolific and enthusiastic writer, which is not surprising given his personality. To view his and other crew blogs written over the years, please go to the archives on the far right of the website. Enjoy! Wow!Wow!Wow! Admiral Mom (AM) and Captain Dad (CD) have taken my numerous suggestions and finally have decided to seek warmer (i.e. Southern) waters than our home here at the Chattanooga Yacht Club on the Tennessee River. 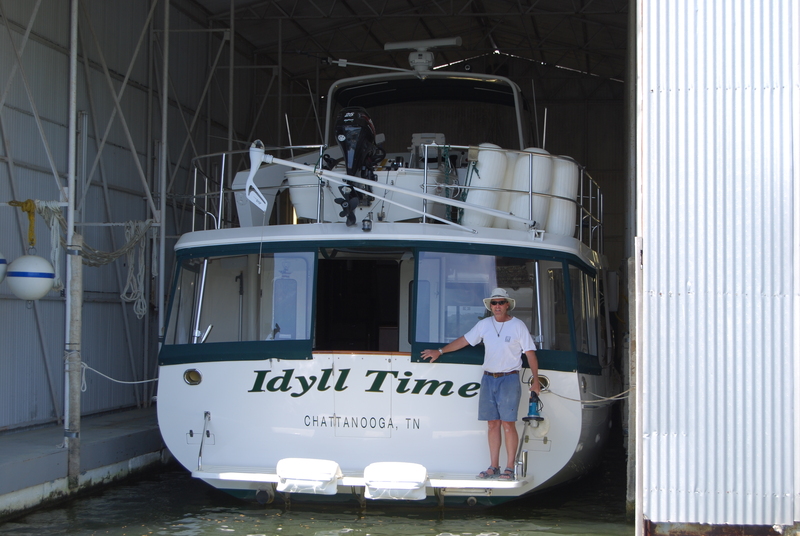 Although I thoroughly enjoy visiting Idyll Time (IT) everyday in her fully enclosed boat house, I firmly believe we need to be in Florida during the winter! As the Cruise Director (CruDir) aboard IT, I have to be creative, nimble, flexible and compassionate. It is also my job to plan all of our cruises and I think I have come up with a great and exciting itinerary for the 2014 boating season. More details on this later. Let me first bring ya’ll (I am afta’ all Southern bah birth) up to date on the preparations I helped coordinate with AM. She and I have worked closely together coming up with many tasks to keep CD busy. We first determined that IT needed three more coats of varnish. Now IT already has 16 coats on her teak cap rail but we felt that this was the perfect time to add to this. It was warm, calm, and low humidity, perfect conditions in my opinion. When we brought this suggestion to CD, his eyes popped wide open; “Don’t we have enough?” He complained, he wined, he moaned, he groaned but in the end he agreed to do it. IT’s boat house is completely enclosed (a big floating garage actually) with wide docks on three sides. In my view, varnishing doesn’t get any easier. So with task in hand, we sent him off to begin preparations. CD taped and triple sanded the entire cap rail. 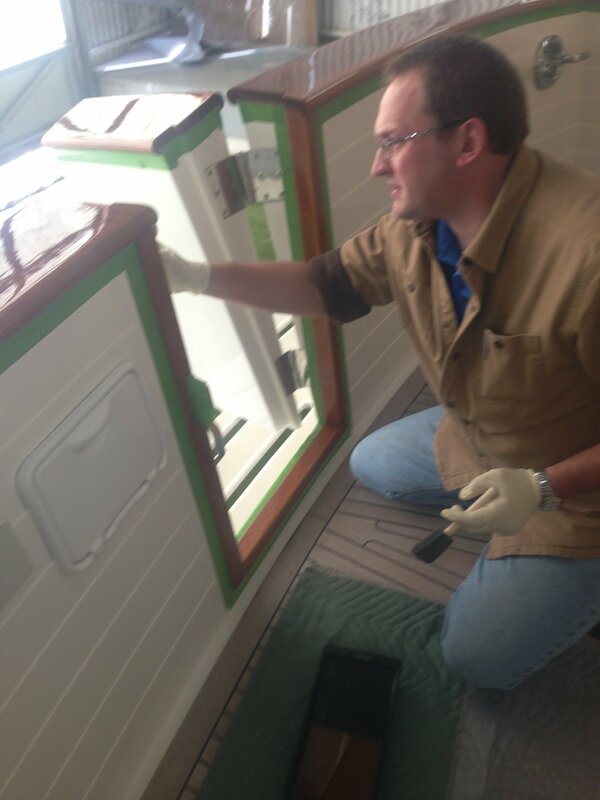 A really great varnishing professional, Chris Suggs, applied the final top coats for us. We praised CD on his prep work and explained to him that this was the reason that Chris’s final coats looked so beautiful. I believe in giving positive reinforcement to the crew even if you have to bend the truth a little. We all know Chris is the real pro here. 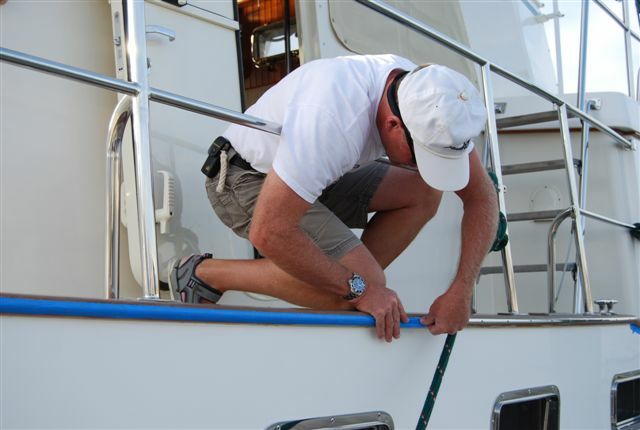 After praising CD, AM and I suggested that he tape, sand and varnish the ¼ round over the pilot house and the teak on the underside of the cap rail. Since these jobs did not require Chris’s professional touch, we felt CD could handle them all by himself without creating too much damage. As predicted, CD rolled his eyes and moaned/groaned/complained but eventually we wore him down and he completed these jobs also. IT has never looked better and all the varnish is set for the next year. Now with all the varnishing out of the way (and the dust all that sanding created- this made me sneeze a lot) I suggested a wax and buff of the entire hull and superstructure- the entire outside of IT. CD was just opening his mouth to protest when AM stepped in and said we could have Ship to Shore do this for us since they did such a great job last time. With relief written all over his face, CD quickly called Mike, the owner, and set this job up. 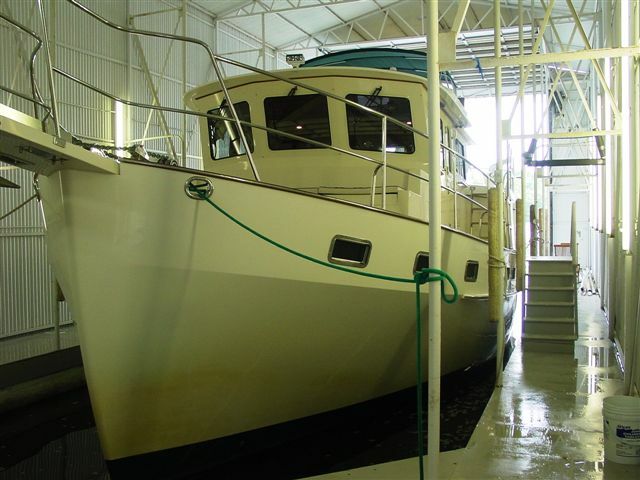 It took Mikes’ crew 10 days to wax and buff the entire boat. Boy, they really made IT shine. During this time, I had CD send off our six person life raft to be inspected and re-certified. Every three years this needs to be done by Winslow, the company that made the raft. They replaced the inflation bottle, inspected the tube seams and put new batteries in the emergency strobe lights. 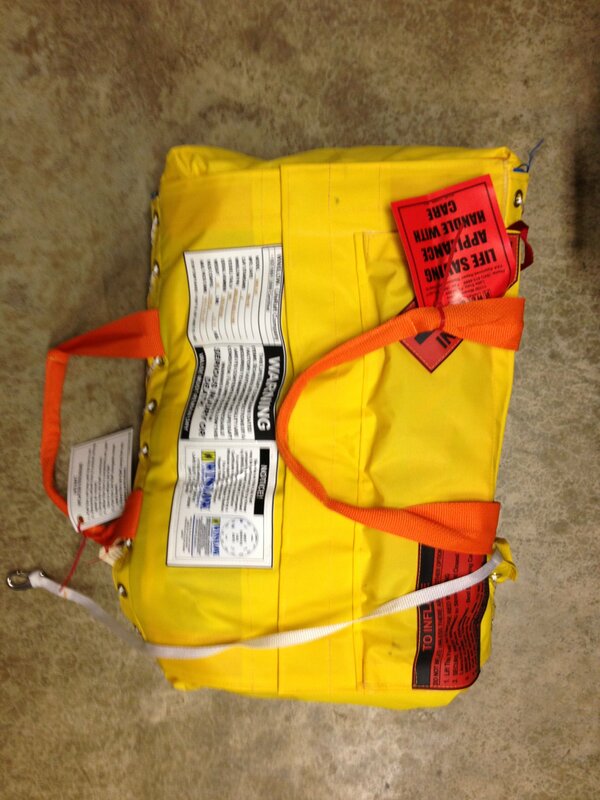 Afterwards, they vacuum packed the life raft and placed it in a bright yellow valise. It’s now ready in case we ever have to abandon ship out in the ocean. I hope we never do but the peace of mind having a life raft aboard lets me sleep better. Our dinghy, Time Out, is an 11 ft. Boston Whaler and supposedly unsinkable, but you always need to have several options available. Along this general theme, AM and CD also bought survival suites this year just in case they have to jump into the cold water. They didn’t get me one because I plan on already being in the Whaler or life raft – no cold water for me! AM’s suit is the traditional “Gumby” neoprene Mustang survival suit. It has a rescue harness attached and reflective tape to show her up at night. 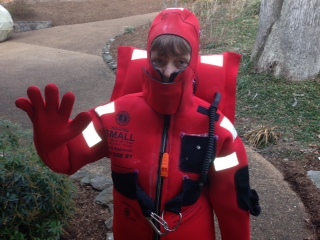 CD opted for a DUI dry suit so he can also SCUBA dive with it in case we wrap a line around the prop or stabilizers and he has to go under and cut things free. 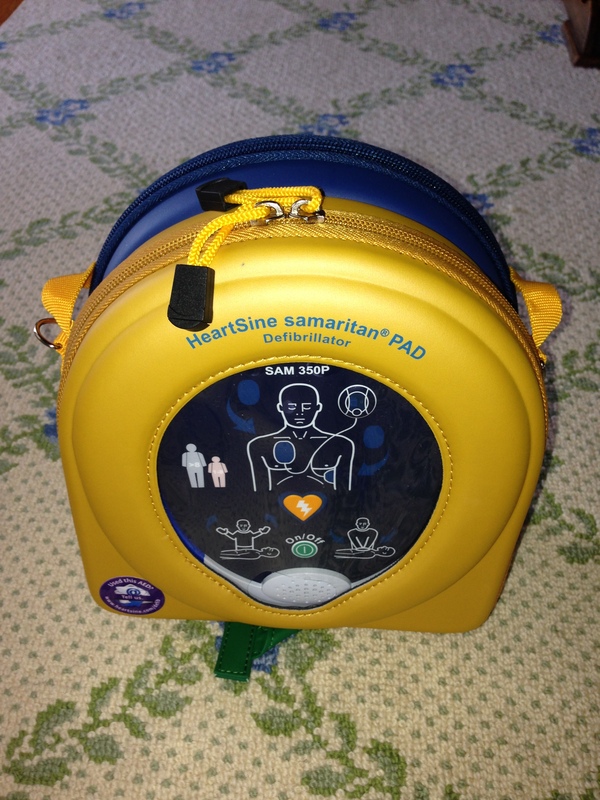 As the CruDir, I also did an analysis of our medical emergency equipment and noticed we had breathing O2, heart rate monitor, O2 saturation meter and blood pressure cuff but not a heart defibrillator aboard. I brought this concern to AM. She had CD research various models and purchase one to keep aboard IT. They both have to take O2 and defibrillator courses as well as first aid/CPR classes every two years to be able to SCUBA dive at the TN Aquarium. So they stay up to date in their training. Now I feel that any guest I invite aboard will be taken care of in case they have a heart problem. My last safety suggestion as CruDir had to do with navigation/seeing at night. CD says he can see just fine in the dark but we all know he is getting older and his eyes aren’t as good as they used to be. After all, he needs daytime glasses now to read, so I figured he needed some help seeing at night too. AM gently brought the subject up to him and she soon had him believing this was a chance to get a new piece of gear for IT! She told him that if he was good the rest of the year and didn’t complain about anymore boat chores, Santa might bring him a FLIR for Christmas. For those who don’t know, FLIR stands for Forward Looking InfraRed. It is a electronic device that lets you see in the dark by sensing slight differences in temperature. This device brings daytime to the night and is so sensitive it can spot the heat signature of a person in the water almost a mile away. Anything above the surrounding air temperature shows up on the screen, boat engines are especially visible. You can even see through the fog with this thing. Well what do you know? 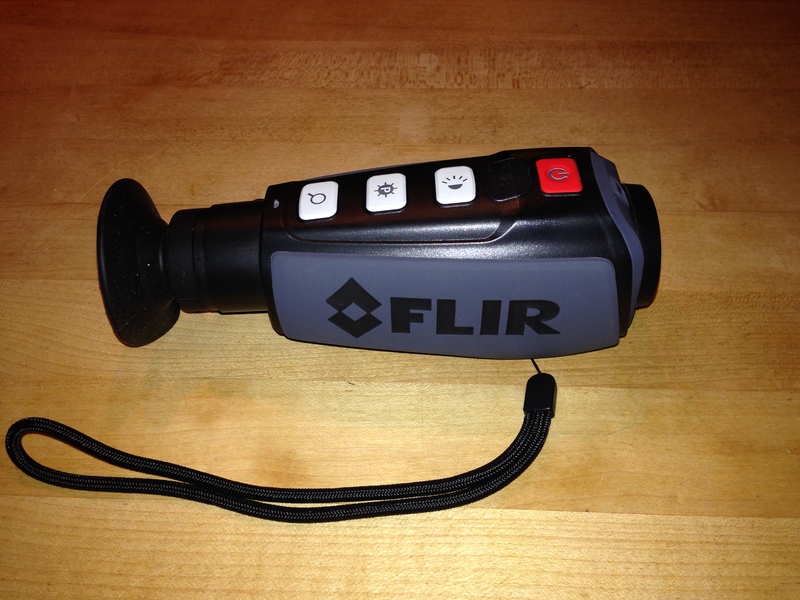 Even though CD was a little pouty during his remaining boat chores (especially vacuuming), Santa decided he’d been good enough and put a hand held FLIR under the Xmas tree. Boy was CD excited. Ever since then, he’s been wandering around the cul-de-sac at home with the FLIR during the night trying it out even though it’s been in the 20’s most nights. Now the neighbors really think he is super weird; they didn’t need much to firm up this opinion. 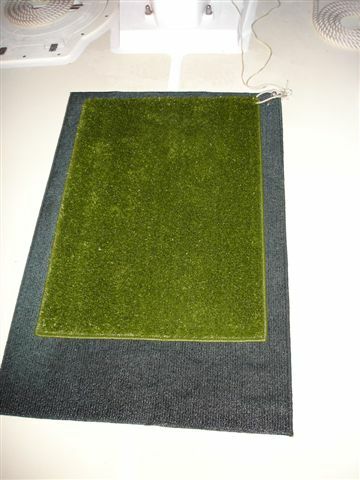 On the subject of old age, I pointed to AM that pee breaks for me aboard IT were getting less and less enjoyable out on the front deck using my “special” mat. At 15 years old, I find it rather chilly at night when nature calls. Plus the deck has been getting a lot more slippery under my paws. AM surprised me at Xmas with a new, smaller pee mat that fits perfectly in the guest shower. She’s told me that it’s ok for me to use this during the night so that CD won’t have to take me out on deck. Also during rough weather, I can use the new “shower mat” instead of holding it (getting harder to do) or sliding around on the tilting front deck and maybe falling overboard. If that was to happen, CD would have to break out his FLIR to find me. That would not be good! This new mat should really make life easier for me. CD can rinse it out right there in the shower –brilliant. AM thinks of everything! Continuing my preparation of IT for the 2014 season, I have given AM several extensive lists of things we will need aboard so that we can cruise in style. I felt that CD had a little too much time on his hands lately (wandering the streets at night) so he could run around getting most of the supplies on my lists. I have him storing all sorts of canned, bottled and boxed food as well as stocking the freezer. CD has been busy making numerous trips to COSTCO as well as the local grocery store. 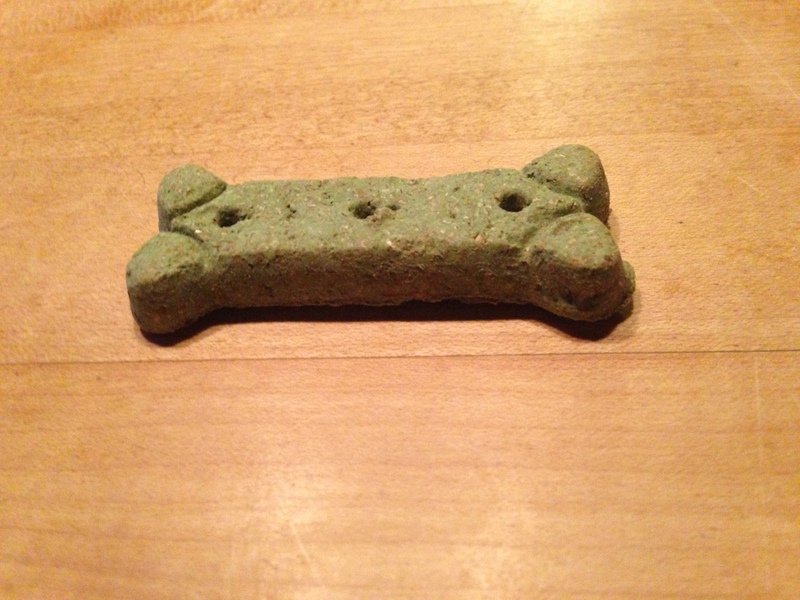 At the top of my first list, due to its importance, were dog treats (medium size, multi flavor). CD knows I get one every night before bed because I’m such a good and thorough CruDir. Having an adequate supply of treats is crucial. He knows how persistent a Jack Russell terrier can be and the consequences’ of running out of treats so I didn’t hear any complaining (for once) about getting this item for me. I’ll let you know later about the filet mignon request and how that went over. The main reason we did not head for Florida this fall was that AM had rotator cuff surgery on her right shoulder this past November. As CruDir, I was concerned that she would fall on her repaired arm if we moved too soon aboard IT full time. So I suggested we leave in early 2014 instead. 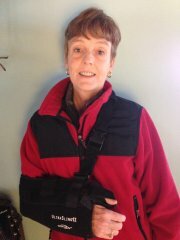 She’s been going weekly to physical therapy and is doing great! She doesn’t complain about things like CD does and is healing quickly. Soon she will be back at the helm of IT. Besides, it has given me more time to plan our itinerary. This brings me to our 2014 plans. Once we leave Chattanooga, I plan on us traveling the TN River west to the TN-Tom waterway and taking this south to Mobile Bay, and the Gulf of Mexico. From there I want us to motor to warm South Florida ASAP- the faster the better as far as I am concerned. I have planned a haul out in Stuart,FL for a new coat of bottom paint. 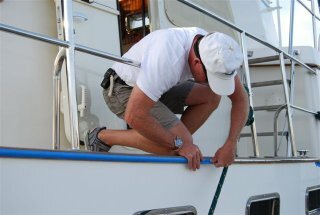 I also want Scotty, our boat guru (the same guy who did the engine room fan), to service the bow-thruster and stabilizers with new seals while IT is out of the water. 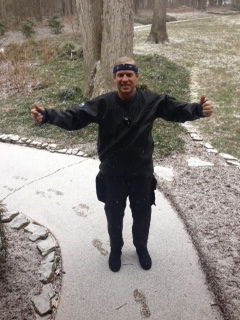 I like Scotty and look forward to seeing him in warm sunny Florida. He’s a big dog person. After the haul out in March, I plan to have us traveling up the East Coast during the spring time and cruising the Hudson Rive again. 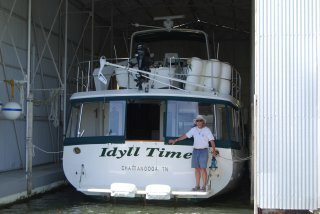 We did this in 2008 but this year I want to explore Lake Champlain via the Champlain Canal, near the Erie Canal split. As CruDir, it is my job to suggest new and exciting places for us to explore and Lake Champlain has been on my bucket list for years. Once it warms up of course, we could also keep going and head out into the St. Lawrence Seaway and cruise to Montreal and Quebec. My research shows both cities to be great in the summer (i.e. warm) so visiting both of them is a strong possibility. After that, who knows -maybe back down Lake Champlain or continue north on the St. Lawrence Seaway and out into the Canadian Maritimes to complete the Down East Loop. It all depends on how warm it gets. So stay tuned, AM should be posting cruise updates soon. 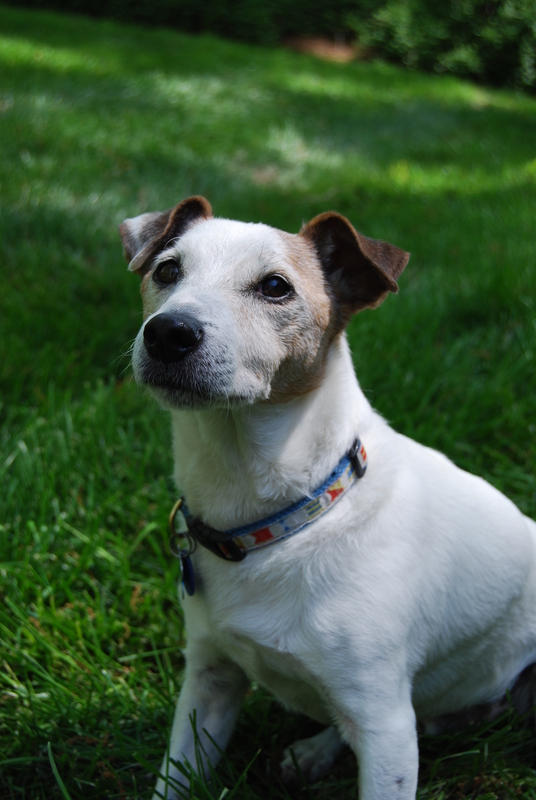 This entry was posted on January 13, 2014 at 12:03 am. You can follow any responses to this entry through the RSS 2.0 feed. You can leave a response, or trackback from your own site. 1 Response to "Sebastian’s Story Part 7: Getting Ready to Cruise"